I know that there are some mistakes in the CT-ART 3.0 software. I just happened to come accross one today. 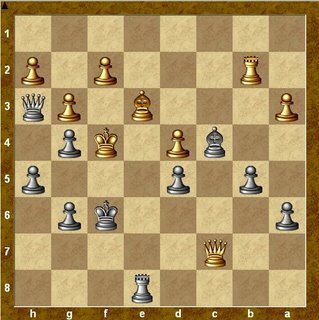 I arrived at this position and instinctively chose Re4#. I got it wrong! I thought to myself, "I must've had a slip of the mouse." So I moved Re4 again ... WRONG! Now I was mad. The "correct" response is g5#. So I played the current position and sure enough, Re4 is checkmate. Nothing infuriated me more than to find that CT-ART often did not play the best responses and I would spend hours analysing the problem with Fritz. My blog entries from last year when I did the Circles of Death are replete with these encounters. I remember that one. 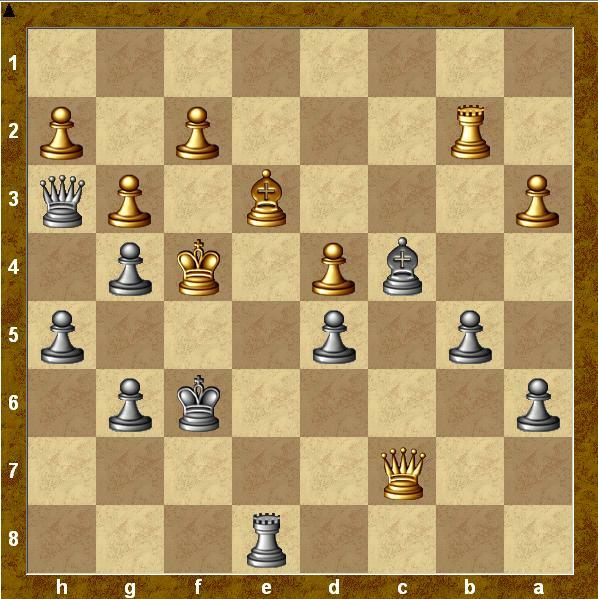 i think like the 5th time thru I finally remebered to play the pawn move.